Nowadays, everything is done in a rush. Sending text messages, booking flights, and even eating! For people who are always on the go, pocket pies are heaven sent. This meat-infused pastry takes out the hassle in preparing and consuming food. One particular brand, Massive Munchies is a must-try in this department. Originally from Dumaguete City, now people from the metro can enjoy this famous delectable goodie. 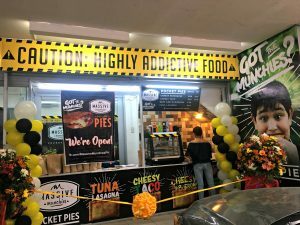 Massive Munchies’ first store recently opened in Hidalgo St., Manila, very near Manuel L. Quezon University. I’m sure the students will love this treat! I’m beginning to feel envious! 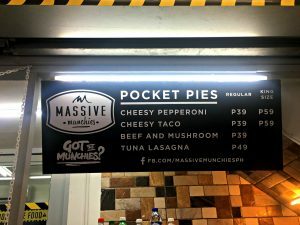 They offer pocket pies in four flavors: Cheesy Pepperoni, Tuna Lasagna, Beef & Mushroom, and Cheesy Taco. I was able to try the Cheesy Pepperoni and Cheesy Taco variants. 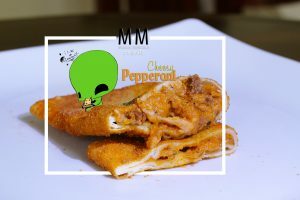 Pizza lovers will delight in Massive Munchies’ Cheesy Pepperoni. Imagine eating your favorite pizza without the struggle to keep all the ingredients on top of the crust or inside your mouth. Cheesy Pepperoni is the store’s bestseller and I can only guess why: it has the right amount of cheese and pepperoni fusion that will keep you wanting more even if one pie is filling already. 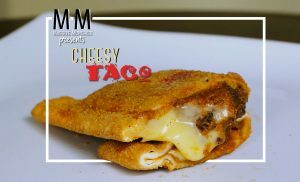 Cheesy Taco is the Mexican-inspired version of the pie. It is packed with so much cheese which overflows when you open the pie. Surprisingly, even with that much cheese, it isn’t very salty. I also like the slight hint of spicy that I’ve tasted in every bite. I brought home a couple of pies, placed them in the microwave for 1-2 minutes and they tasted great. Massive Munchies owner Tad Angara said that the longest time a customer stored the pies before eating was at least one month, and after heating them, they were still edible. They plan to sell raw pies in the future. Massive Munchies was launched in Dumaguete City four years ago by two friends who had no culinary nor business formal training. 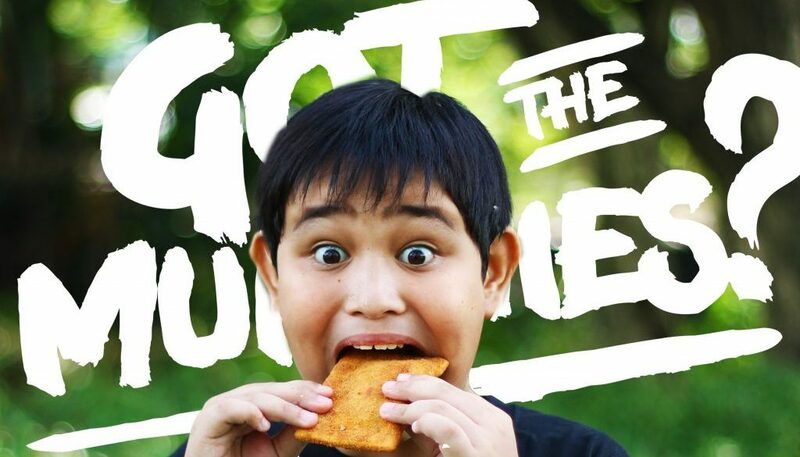 With only PHP 25,000 capital, they created an innovative snack that the masses loved. And why shouldn’t they, these pocket pies can be bought at very affordable prices. I love the humble beginnings of this business. It’s a living proof that dreams do come through with perseverance, hard work, and a little bit of luck. Massive Munchies dreams of opening multiple stores in Metro Manila. I’m excited for this! Have you tried Massive Munchies? What’s your favorite flavor?